important risk factor for neurological damage, including cerebral palsy. 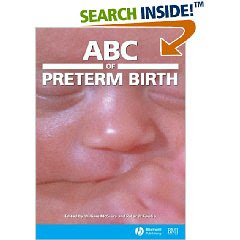 With its clear explanation and many illustrations, general practitioners, medical students, paediatricians starting their postgraduate training, nurses, and midwives will find ABC of Preterm Birth an excellent reference. and midwives will find ABC of Preterm Birth an excellent reference.